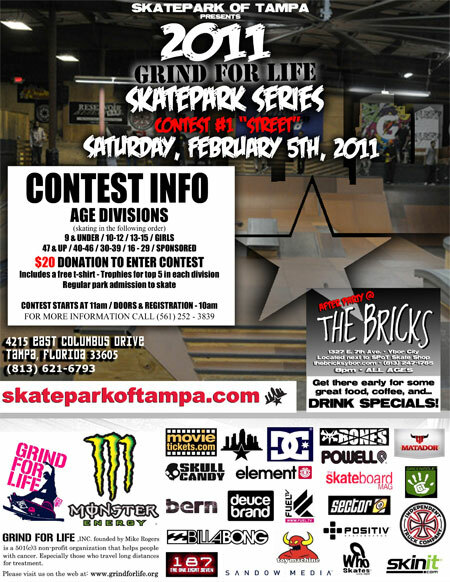 Weekend coming (Feb 5th) there is a Grind For Life Contest at the Skatepark of Tampa with a ladies division. It costs just $20 to get involved and since all the proceeds go to an amazing cause, we encourage all you girls in the area to take part. Get there early and get some food and drink!! More info here.